Good morning! We're coming up on Mother's Day weekend here, and we're getting ready for the holiday at Webster's Pages with some gifts for mom! I've got a little trinket box that I created for my own mom, as well as a step-by-step tutorial for those of you who would like to put one together yourself :). New Beginnings Collection "Morning Glory"
New Beginnings Collection "A Life to Celebrate"
New Beginning "Orange & Pink Polka"
Modern Romance Perfect Accents "Heart"
Charm Perfect Pack "Love Birds"
Let's get started! There are 8 easy steps in completing this project. Forgive my first couple of photos with my messy desk, ha! I wasn't sure if I was actually going to do a step-by-step until you can see I committed to it by Step 3 ;). I hope you enjoy! Happy Mother's Day to you who celebrate- I hope you enjoy your weekend :). And thank-you for dropping by my blog and letting me share with you! OH this looks so pretty, that frilled ribbon really makes the heart come alive and all the other colors are enhanced by it too.. really beautiful gift box.. will be a special present that is for sure!! Gorgeous and great tutorial! I bet between you and Kelly, your mom gets some GORGEOUS gifts! Have a blessed day! Oh my, this is just as pretty as can be! 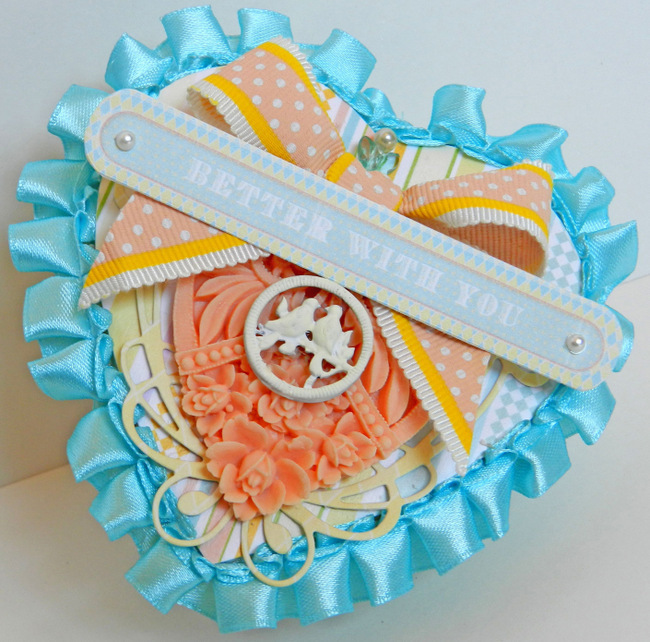 I love how you arranged the charm and whimsy heart and the ruffled trim is the perfect finishing touch. This is gorgeous Erin!! I love that Blue ruffle trim around the heart shape!! What a great Mother's Day gift! This box is so pretty! The colors are perfect for this time of year. Happy Mother's Day! 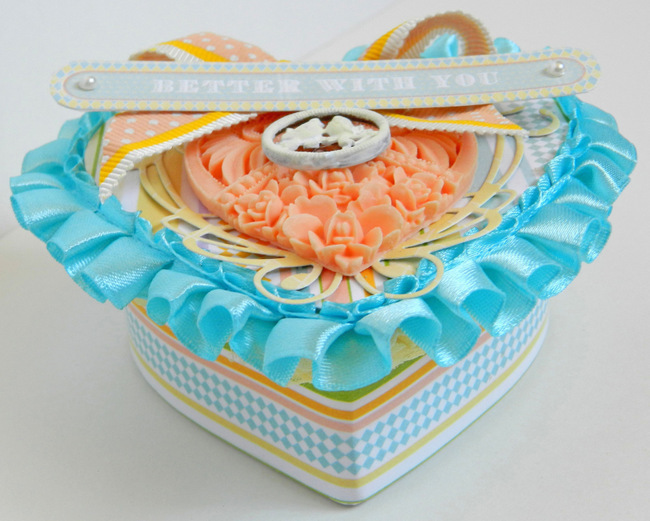 Such a beautiful little box Erin, love the pretty heart and springy colors. Im sure your mom will love it ;) Have a Happy Mother's Day! What a wonderful project! Love this! Wow, gorgeous little box!! Love it! Wow! So pretty! So creative! <3!